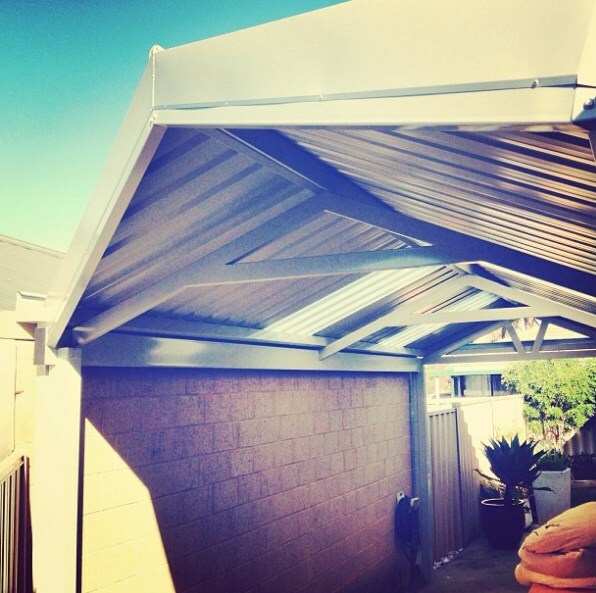 Regal Patios & Carports specialise in the construction of colorbond steel framed patios. 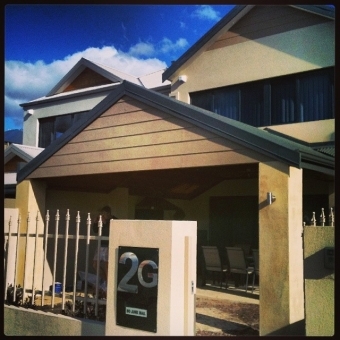 We offer highly functional and aesthetically pleasing extensions for your home. With Regal Patios & Carports, you can now beautifully transform that outdoor empty space into a wonderful area where you can relax or entertain. This extra outdoor space can become a place where families can relax in the wonderful Perth outdoors and enjoy the outdoor home space with the beautiful rays of the sun providing light and a cool breeze offering a naturally refreshing breath of air. We can make the most of every square inch of space but ensure that it is in keeping with rest of your property. 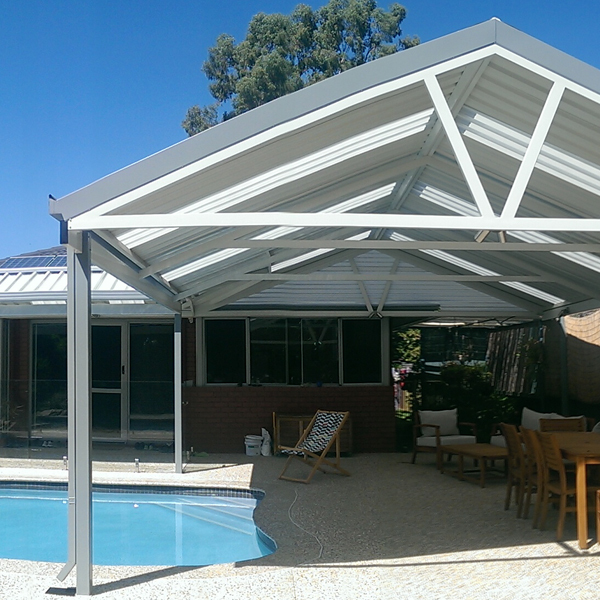 When it comes to entertaining guests it is now also more fun with the protection of a patio. No more harsh heat of the sun during Sunday barbeques with friends and there’s now a place where kids can play after a refreshing dip in the kiddie pool. Using powder coated steel tubes for the frame and columns allows us to construct large spacious patios to any specification. Whatever size you need for your property, we can provide you with the right patio whether It is flat, domed, inclined or gable roof, we have the best option for you. 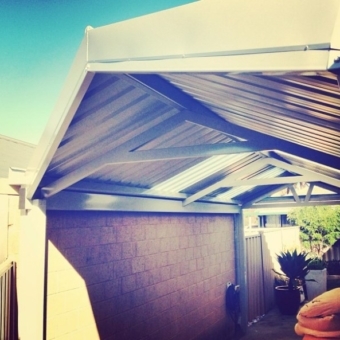 Using colorbond steel roof sheets, depending on the profile, also allows you to have large, open spans with a minimum number of internal beams. This gives you a very clean and uncluttered look without compromising the strength, quality or safety of the build. Say goodbye now to unsightly roof extensions for your outdoor space. Choose from our wide range of products to have a beautiful extension that will also add value to your home. In servicing all our customers, we make sure that we not only meet your needs but also exceed your expectations. All our products are custom designed and made to suit your requirements. Whether you need it for relaxation or entertainment purposes, we can provide you the right patio for your home. Start enjoying your outdoor space with our gorgeous and highly efficient patios. We always sit down with our customers to establish their needs and requirements. We need to discover the primary purpose of your patio, which direction your patio will face and what you are ultimately trying to achieve. We are extremely meticulous and pay great attention to detail as this helps us to ensure you get exactly what you’re looking for. Our skilled teams have many years experience in the industry and will always be available to answer any questions that you may have. We will work with you at every stage of the process from the initial design to the final construction, to establish that you are 100% satisfied with your new patio. We are a family run, extremely customer focused company and take immense pride in seeing our customers happy with the results. Our free, no obligation, comprehensive quotes are easy to follow and you will know exactly how much you will be paying with no hidden extras or nasty surprises. We always complete work inside our agreed timeframe and you can be sure that you will find us polite and courteous. If you would like more information about our patios and carports you can call us on 0402051577, email us on: rogershaw@regalpatios.com.au or you can contact us through our website. We look forward to hearing from you.